If all those different setups still aren’t challenging enough for you, we have many more additional accessories in our range. 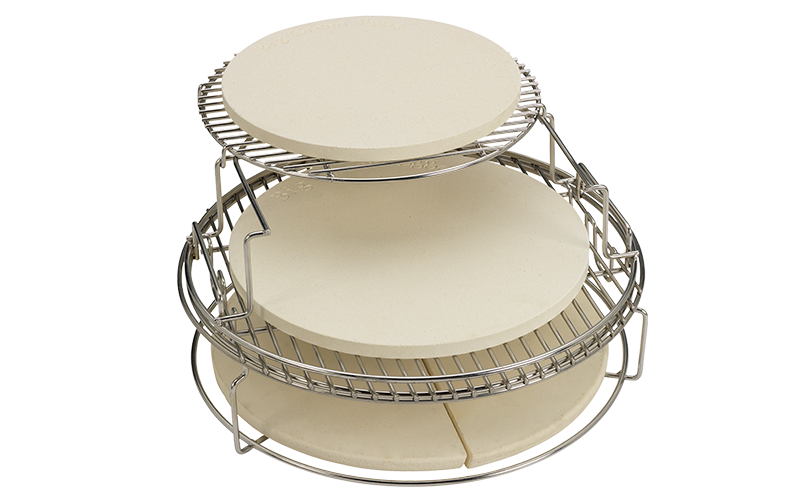 Allow your favourite cooking techniques to determine what add-ons are a must-have for you. 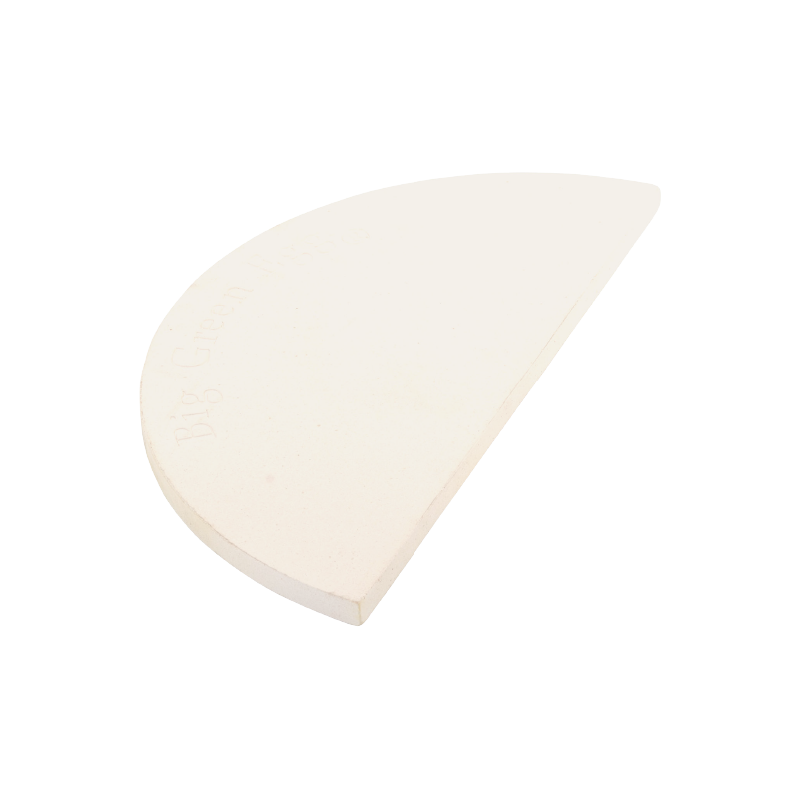 Are you short of cooking surface? Then take things up a notch! 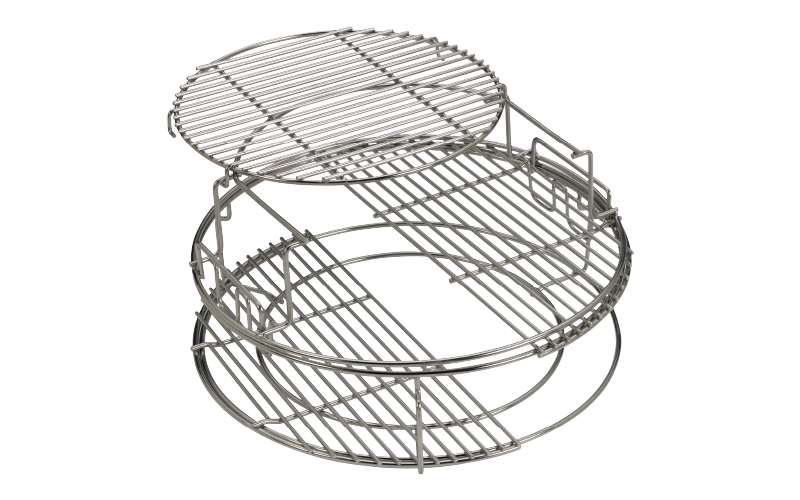 The 2-piece Multi Level Rack consists of 2 parts: a stainless steel grid and an elevated grid that allows you to work at several levels, thereby doubling your cooking capacity. This means: twice as many delicious creations. 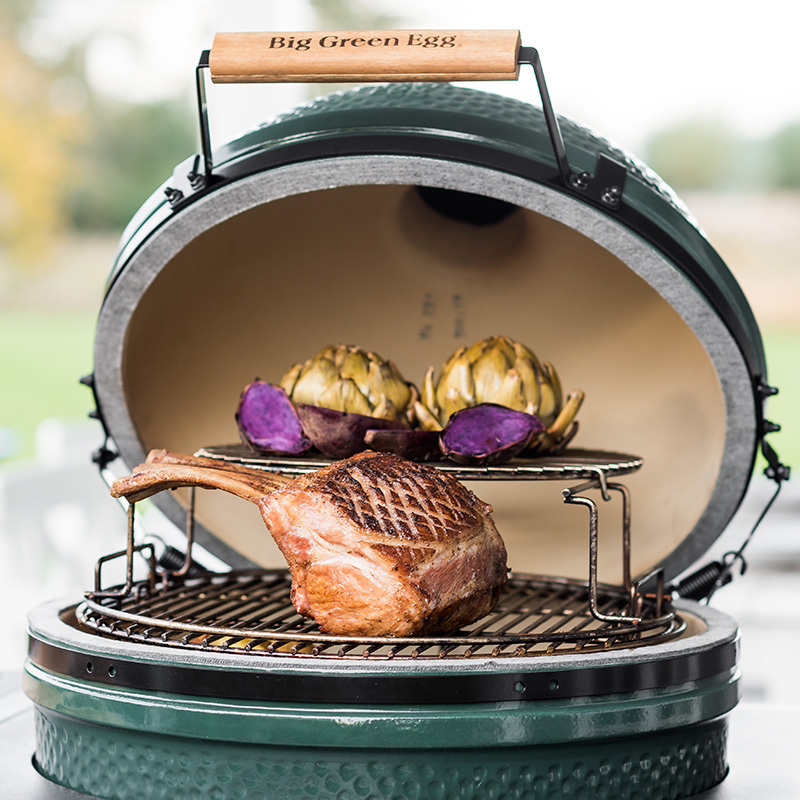 Using the ingenious convEGGtor Basket, it is easy to place your convEGGtor in your Big Green Egg or to remove it. 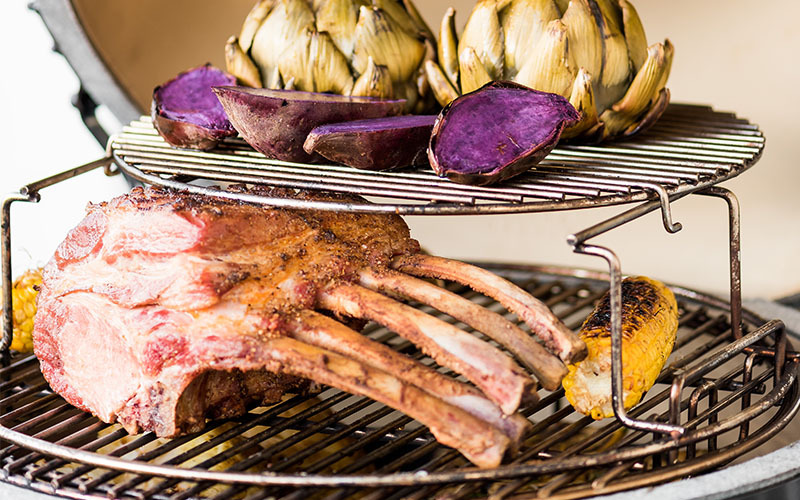 You can cook on it directly or indirectly at several levels and if you combine it with the 2-Piece Multi-Level Rack, the possibilities are truly endless. 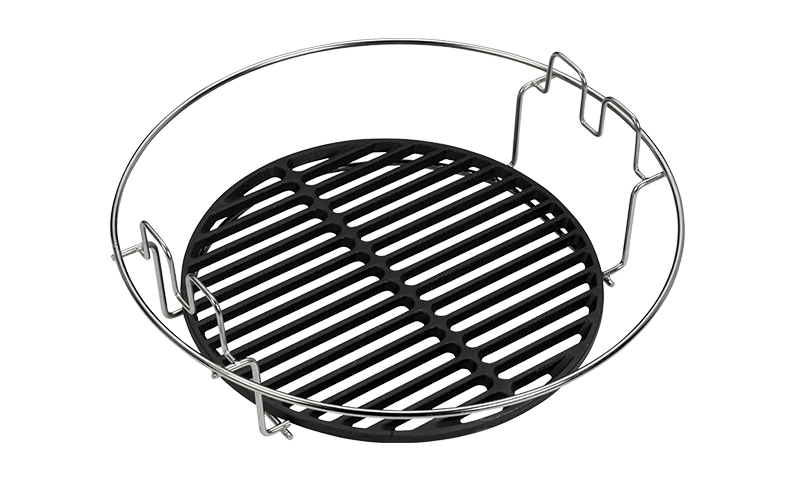 This grid allows you to use half the cooking surface in our EGG to grill, fry or roast, and then you have enough space left over to show off your other cooking techniques. Made of the highest quality stainless steel, of course. Do you like to EGG delicate ingredients such as seafood and fish? 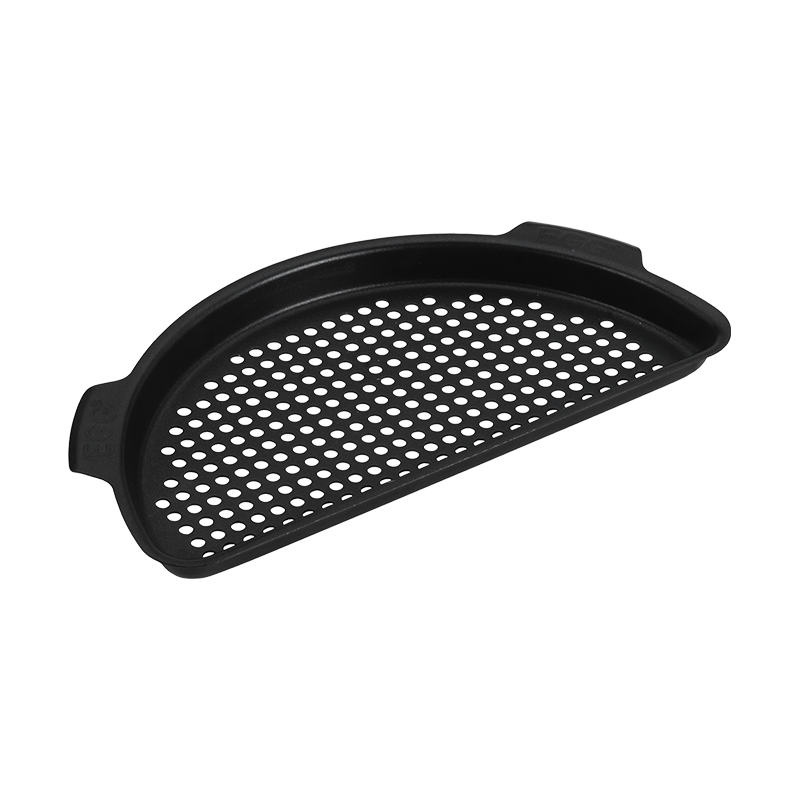 Keep them intact with the Perforated Cooking Grid. 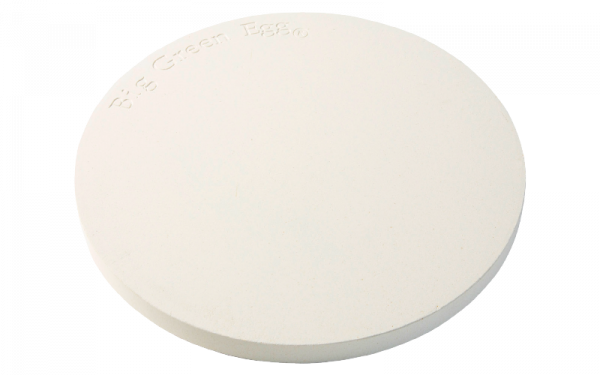 Also ideal for finely chopped vegetables or asparagus, for example. 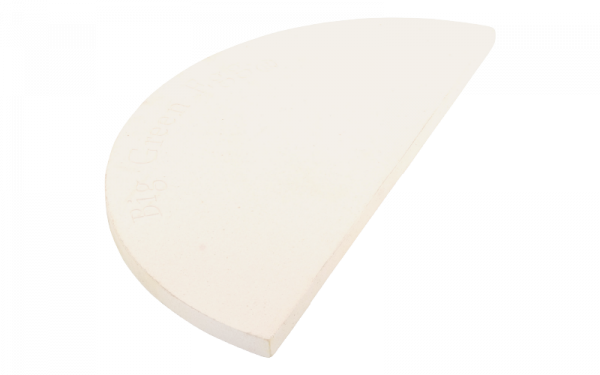 Very versatile is an understatement for the Half convEGGtor Stone. 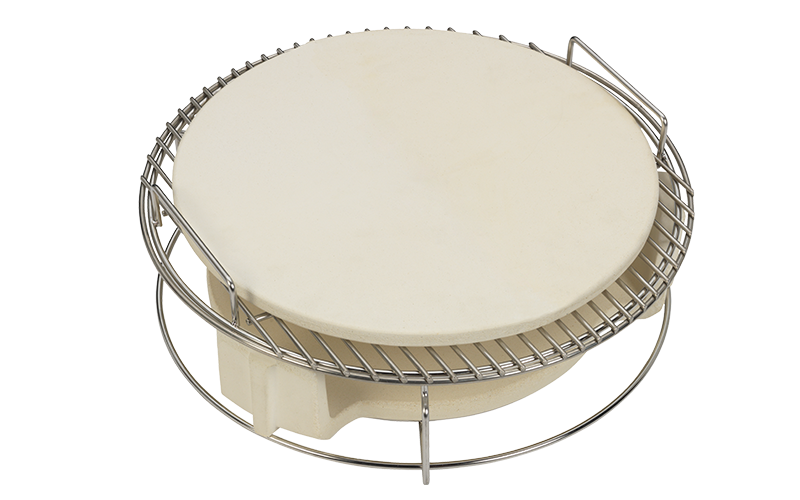 If you are in the mood for baking, you make your own bread, calzone or biscuits – but you can also use the convEGGtor stone as an intermediate layer if you want to cook on it indirectly. 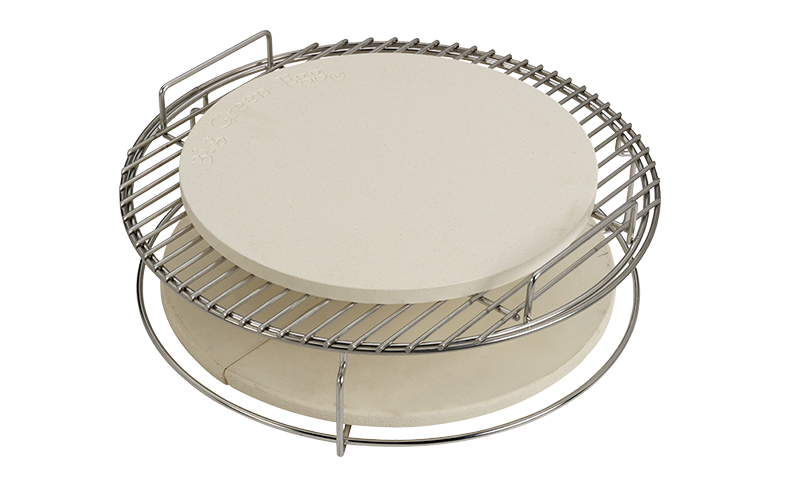 Designed to be a ‘no-burn zone stone’ when two are paired, providing maximized cooking space. 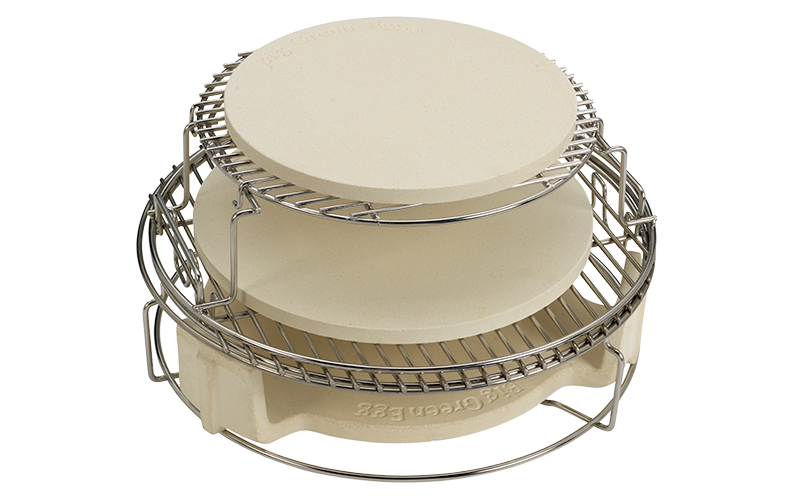 With a convEGGtor, the smaller diameter means food around the edges can burn. 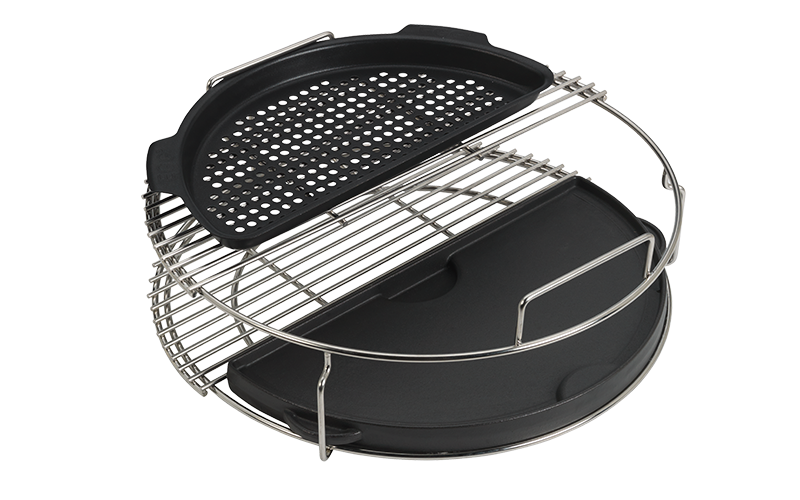 So this is ideal for lower temperature high volume cooking, like with chicken wings. 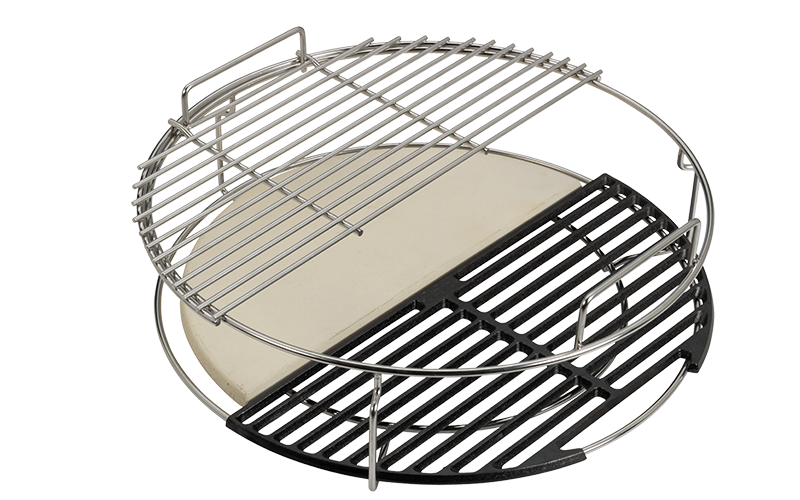 Also, when one half is used for two-zone cooking, it gives you a full half area where you can cook food without worrying about burning. 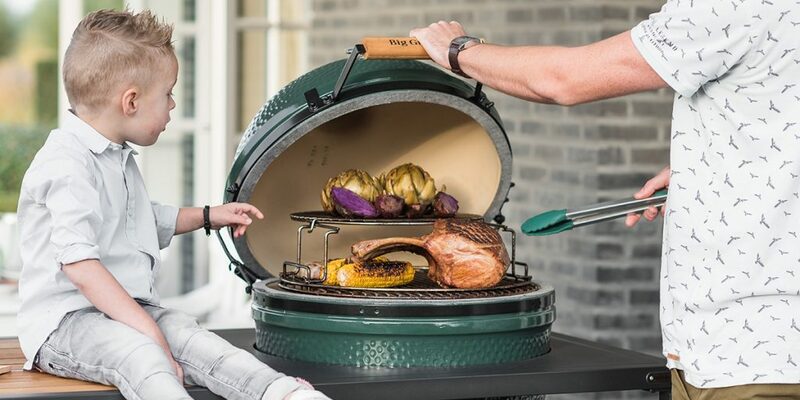 The Half convEGGtor Stone is made of Big Green Egg ceramics. 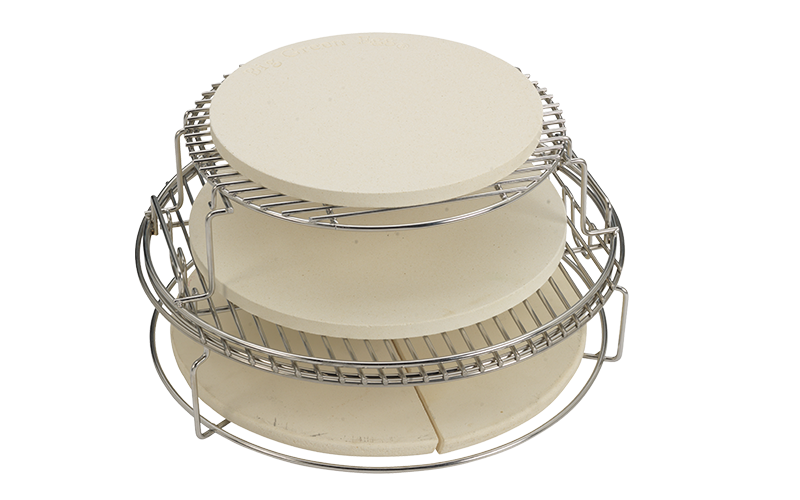 Please note: when using the 5-Piece EGGspander Kit, only 1 Half convEGGtor Stone will fit the middle layer due to it’s size. 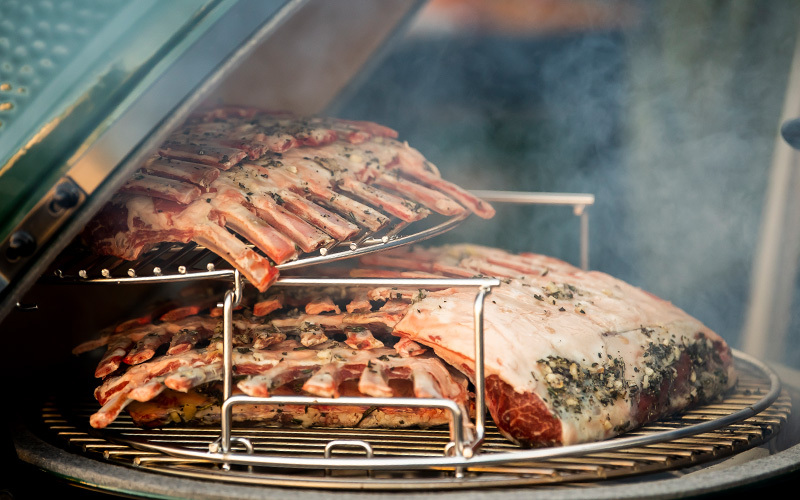 Are you a serious griller? Using the Cast Iron Half Grid, you can prepare salmon steaks, beef steaks and vegetables showing an enviable grill pattern. 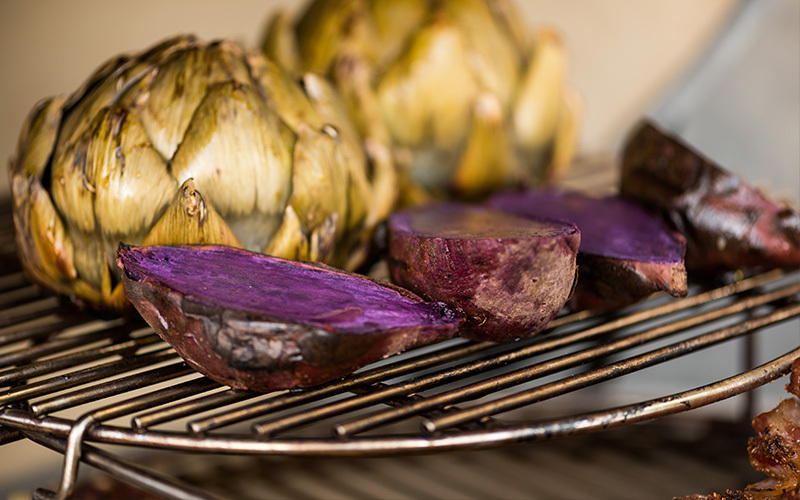 Perfectly seared on the outside, super tender on the inside. Half the cooking surface but all the taste. Dual sided. 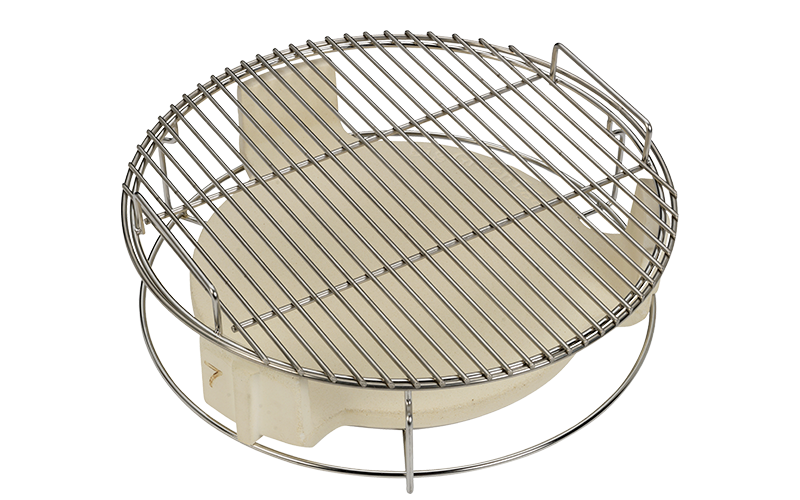 Use the other side for extra wide grill marks. 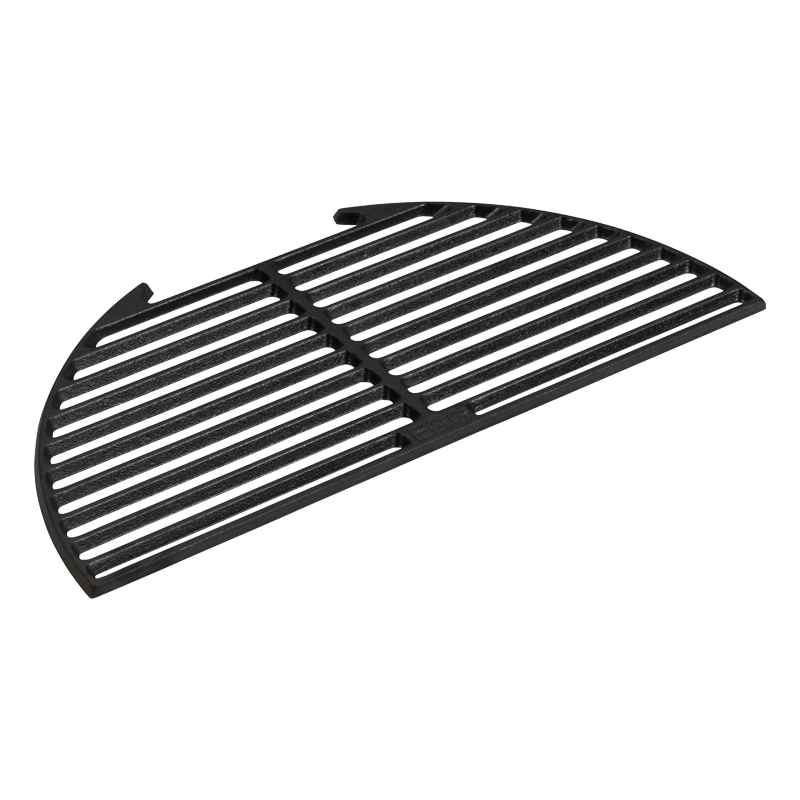 A cast iron plate with a dual roll: you can grill delicate or smaller ingredients on the ribbed side, whilst the smooth side is ideal for pancakes, crêpes or eggs. You still have one half available. Does anyone have any further wishes?